Meet Jan-Willem Vosmeer, Corporate Social Responsibility Manager at Heineken*. On a sunny afternoon in Amsterdam, we talked at length about Heineken’s program “Brewing a Better World” and sustainability communications. 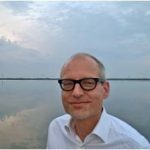 Here’s what Jan-Willem had to say about water, co-creation and communication. We don’t have an extra planet available. So we really need to take a long-term approach to how we utilize the resources on the one planet we do have. This needs to happen at all levels, as individuals, as companies, communities, governments and beyond. And of course this kind of thinking needs to go beyond environmental topics, as there are many social sustainability issues as well, of which many are closely interlinked. There always is a human angle to key environmental issues. As you can imagine, water is a key resource for our beer. Both as a key ingredient and as an important resource to grow the necessary agricultural materials. In many water-stressed areas, there isn’t so much a lack of water. Water shortages are often the result of inefficient water usage by industry, agriculture and cities. A recent study by the World Bank showed that some cities lose more water through leaking pipes than they deliver to households. That is why protecting water resources is one of the focus areas of our sustainability strategy. Fortunately, we’re not the only company integrating sustainability deeper into the strategy and business. Also, younger generations and media are really embracing sustainability as the new normal. Corporate social responsibility is no longer synonymous to philanthropy, as there now is a real business case for it. Longer term thinking allows for longer investment return periods. That in turn opens up opportunities for new ideas and technologies, working together across teams and across organizations to create a better, more sustainable future. Historically, sustainability may have been confined to programs managed by the sustainability department. Nowadays, sustainability is increasingly becoming more integrated into the work of people in many different departments. The role of the sustainability department has changed a lot in the past decade. Previously, our stakeholder engagement was mostly directly outwardly. Now, we’re actively engaging internal stakeholders as well, creating coalitions internally to deliver on the strategic plans. Good quality data is key internally and externally. Internal quarterly reporting on KPIs helps us focus our team and other teams on what’s most important, on what action we need to take now for our long-term goals. External reporting helps us engage in fact-based dialogue with many stakeholders and partners for long-term impact. Good quality data and expertise help to take the emotion out of conflicts based on misperceptions and misunderstanding. We have a wealth of experience engaging specific stakeholders with our sustainability plans and performance. But we’d also like to reach a broader audience. Three of our brands are now brewed using solar energy, and this is integrated in brand communications as Brewed by the Sun. Another brand, Gosser, is brewed in the world first large-scale carbon-neutral brewery. This Austrian brand is actively sharing this story with consumers. To engage young adults (age 18-35) with our story, we launched our 2015 sustainability report in tandem with a video “Let’s Get Frank” by rapper Kevin “Blaxtar” de Randamie. Reactions have ranged from “striking” in Fast Company to “a gorgeous failure” by Mallen Baker. In addition to “sending” out our sustainability stories, we’re increasingly inviting others to contribute to our plans and communications. We do not have all expertise in-house. We realize we need to enable others to not just voice concerns and opinions, but also to contribute their ideas. Letting go of “owning” and “controlling” all the content has been an exciting journey, unusual and scary at times for us as a listed company. We gave rapper De Randamie almost complete freedom for translating our sustainability report into his own artistic expression. We invite ‘vloggers’ to visit our breweries and talk about it. Also on our “Green Room” intranet within Heineken, we’re getting great content by letting employees tell their story. It’s great to see that sustainability has become more mainstream and that many organizations are now actively contributing to a better world. 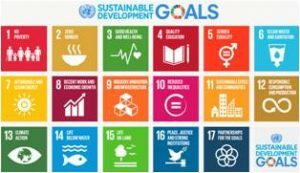 The Sustainable Development Goals (released in 2015 by the United Nations) are helpful to make sustainability even more mainstream. They provide focus and a common language for parties to work together to scale up the impacts of our joint investments. Personally, I’m looking forward to continue working on water stewardship programs with our local companies and UNIDO. Just recently, I visited one of our water balancing projects in Mexico and learned about the challenges of reforestation. I never realized that only 30% of the trees planted in arid areas actually survive. It made me acutely aware how important it is to protect current forests. For more information about Jan-Willem and Heineken, please check out his LinkedIn profile, the Brewing a Better World section of the Heineken website or follow Heineken on Twitter. * All mentions of Heineken in this blog post refer to Heineken as a company, rather than a brand. Can sustainability sustain your brand?